The prestigious Institute of Medical Biology (IMB) in Singapore has chosen TDBioBank from TECHNIDATA, the software supplier for clinical laboratories and biorepositories, for its three research laboratories specialized in Genetics, Skin and Stem cells. The IMB is one of the research institutes at the Biomedical Research Council of the Agency of Science, Technology and Research (A*STAR) in Singapore. It is a public entity mainly focused on scientific research. 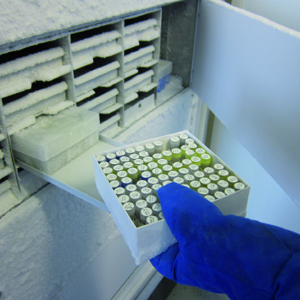 The increasing interactions between different laboratory specialties creates a growing need for storage and management of biological resources. “The IMB was looking for a dedicated biobanking solution, which could be shared and used by its 3 laboratories specialized in Genetics, Skin and Stem cells. With features such as the clinical annotation form designer, the pedigree chart manager, or query and label printing tools, we were able to promptly provide the solution that met their needs. The system is now running routinely to their full satisfaction”, explains Christophe GUITART-ARNAU, Product Manager at TECHNIDATA. The three laboratories of the research institute are today linked via TDBioBank and can efficiently manage their biological resources, in particular for their research project on “Genetic and functional characterization of orphan disease”. This project seeks to explore rare recessive diseases related to certain populations with consanguineous marriages, resulting in anomalies such as Wrinkly skin syndrome. 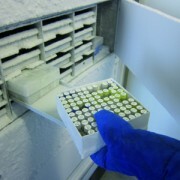 Developed to meet the demands of biorepositories who need to value and promote their biological resource collections for research, diagnosis, and donation, TDBioBank provides full traceability, optimal storage management and interoperability facilities, to easily integrate them into existing healthcare systems and disciplinary cross-over in terms of laboratory process. “TECHNIDATA is a historic player in the field of biobanking software solutions. We have developed a proven expertise and are able to respond to all kinds of needs, from the simplest to the most complex ones. We ensure that TDBioBank is regularly evolving not only to answer our customer demands, quality and regulation requirements, but also to stay a step ahead. For example, in the upcoming version, we will introduce a new feature allowing patient anonymity to be irreversible through a hashing process, while ensuring the ability to update all patient data through a chaining method. This feature will avoid the use of correspondence tables, and will not only save significant time for users but is also essential in protecting patient confidentiality”, explains Christophe GUITART-ARNAU.